Event Marquees offers the freedom and versatility to have a perfect marquee wedding. We have set up wedding marquees at many spectacular places over the past years. 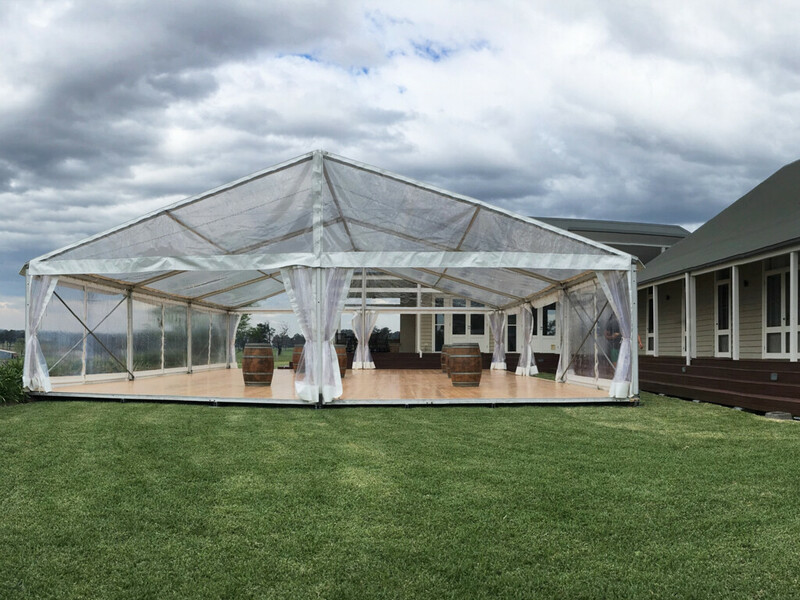 There are lots of beautiful marquee locations and venues around NSW, ACT, VIC and QLD that are suitable for both wedding ceremonies and wedding reception marquees. Perhaps you have a marquee venue in mind? Or need some assitance in finding the ideal location - Event Marquees is here to help! WHERE CAN I HAVE MY WEDDING IN A MARQUEE? There are a lot of specialist venues that allow marquees. Beautiful Australia has so much green open spaces perfect for a wedding in a marquee. It takes just a few steps to organise a wedding marquee at the perfect spot. Be sure to make all necessary arrangements with council or the appropriate authorities before booking the marquee. We would also advise to arrange for a free on site meeting with our event project manager to finalise the particulars after booking a wedding marquee. Sydney is the most populous city in Australia, and hence has an amazing choice of spectacular wedding locations and venues to choose from. 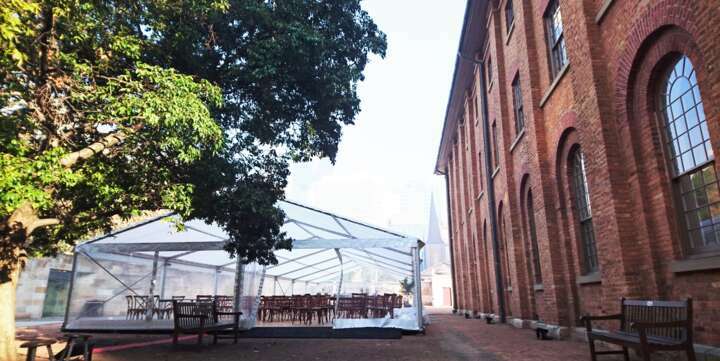 Sydney College of the Arts at Kirkbride offers a unique variety of indoor and outdoor spaces for hire that can cater to events of all types and sizes, from weddings and parties to conferences and corporate events. Venues are priced on a scale depending on which venue you choose and the duration of your booking. Clifton Gardens Reserve, great spot on Morella Rd near Taronga Zoo, adjoining Sydney Harbour National Park, ideal for weddings (council permits set up of marquees). The Superintendents Residence (circa 1881) and Rangers Residence (circa 1889) are two gracious heritage listed homes within Centennial Park. Originally built to house parklands staff, the two buildings hadn’t been in regular use for decades and had slowly become lost to history. Lovingly restored to their former Victorian Grandeur, both homes are now available to the public as ultra-luxury accommodation and a unique location for entertaining. Clontarf Reserve, is a popular picnic spot on the north side of Middle Harbour with beautiful west facing beach; near by Clontarf Marina and view to The Spit Bridge. Athol Hall is located in Sydney Harbour National Park and offers views of Sydney Harbour; in close proximity of Taronga Zoo, perfect location for wedding or corporate function. Q Station in Manly, historic North Head Quarantine Station, part of Sydney Harbour National Park, offers accommodation, private beach with great views to Manly, for more details call 9466 1551. Miramare Gardens is a 5 star private event venue, located in Terrey Hills on the Northern Beaches, with four acres of beautiful gardens, perfect for a marquee wedding, More info on 9450 2000.
International College of Management is located in Manly on the historic grounds of Saint Patrick's Estate, with magnificent views of Manly Beach, marquee hire event. For information call 02 9466 1096. McCarrs Creek Reserve, is a popular location located of MccCarrs Creek Rd, in Ku-ring-gai Chase National Park in Church Point. Quite and peaceful park, call Pittwater Council on 02 9970 1111. Long Reef Golf Club with the nearby FishermansBeach is an exciting wedding venue, located in Collaroy on the Northern Beaches, marquee hire for up to 200 guests available, call 9971 8113. 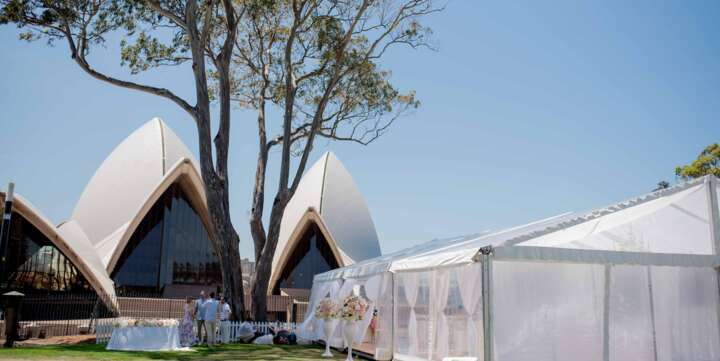 The North Head Sanctuary Lawn is a truly unique venue, set amongst rare flora and fauna with a slightly sloping lawn and a winding paved area at the front. 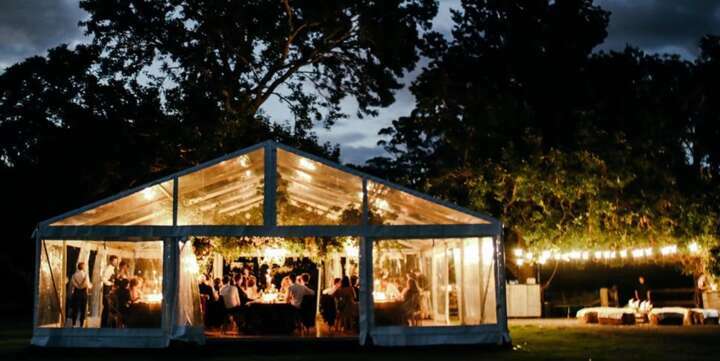 Perfect for events such as Marquee weddings, ceremonies, picnics and corporate events, call (02) 8969 2100. 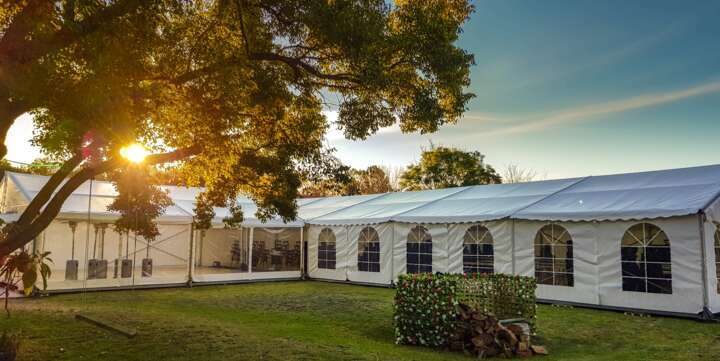 Event Marquees provides wedding hire services around the entire Hunter Valley region, from Cessnock, Pokolbin, Rothbury, Singleton to Muswellbrook. If you’re looking for the perfect place to host your wedding, corporate event, baby shower, significant birthday, anniversary or a special event, look no further than the Hanging Tree Wines vineyard. For more details call 02 4998 6608. 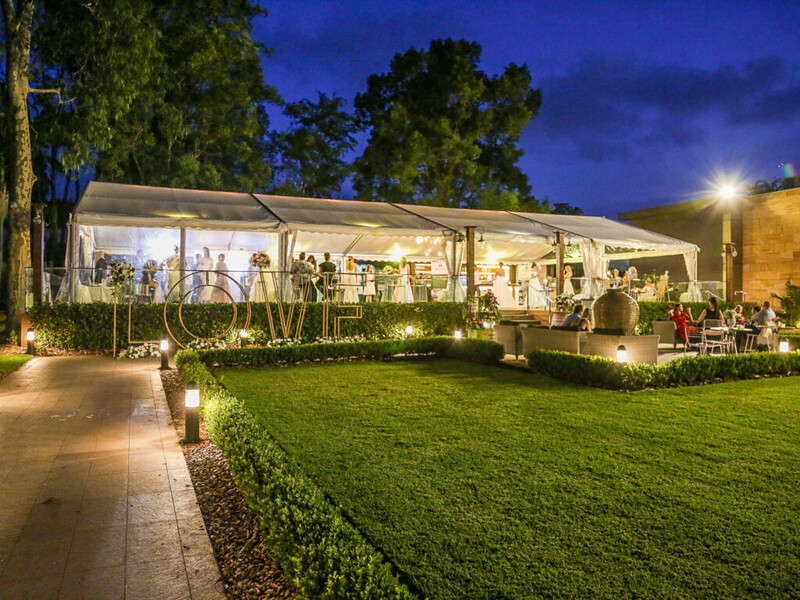 Villa Provence offers 9 spacious suites, swimming pool, beautiful French Provincial feel, in the middle of Hunter Valley in the Pokolbin area, ideal space for a romantic wedding marquee for up to 250 guests, excellent vineyards nearby with plenty of accommodation, for details call 4998 7404. The Carriages Boutique Accommodation is a boutique hotel with 10 rooms, set on an award-winning vineyard. You could enjoy a roaring log-fire, a squashy sofa, a smooth bottle of wine in winter months. On warm days wander through French doors into the garden, dip into the salt-water pool. Carriages Boutique Wines are available onsite, for details call 02 4998 7591. The award winning Château Élan at The Vintage Hunter Valley (Hotel Accommodation Hunter Valley) is Australia’s finest luxury golf, spa and conference resort. It is located in the heart of the Hunter Valley and offers luxury hotel style Hunter Valley accommodation plus 6 conference and event venues all in the heart of wine country. If you would like more information, call +61 2 4998 2500. The 100 acre estate sits on the slopes of the Molly Morgan Mountains with views over Pokolbin towards the Brokenback range providing amazing backdrop for your perfect day - truly unique venue creating the memories for a lifetime. For details and bookings call 02 4930 9888. North Lodge Cottages is a private property set in the Hunter's Valley Pokolbin area offering self-contained cottages, large space for a marquee enough to cater for up to 150 guests, swimming pool, wood fires in winter, excellent spot for a range of events with friendly owners on site. Tower Lodge is a luxury retreat located in Pokolbin, Hunter Valley, offers luxury 5 Star accommodation in 12 rooms and an award winning restaurant, Tower Estate Winery with great wine selection, great venue for a small conference or for a romantic wedding, for details about available packages call 4998 7022. The Southern Highlands in the NSW southern tablelands has some of Sydney's most sought after wedding venues. There is something special that attracts many couples to the Southern Highlands and away from the busy centre of Sydney. Peppers Retreats are a destination in themselves - boutique and grand, with unique architecture and fascinating histories attached. The boutique accommodation, restaurant and winery combined with the beautiful grounds and accommodation provide an ideal country wedding location. Breathtaking backdrops for photography at every turn, delicious food, award-winning wines, and the two of you, centre-stage. Kullindi Homestead provides a unique natural setting for your wedding with spacious lawns on the edge of Sussex Inlet waterway. Two luxurious farmhouses, all set privately in a verdant 4 acre country garden with 12-metre saltwater pool & tennis court. At Lincoln Downs we understand the importance of getting it right. After all, your wedding day is very special. We will ensure everything is organised perfectly with professional, friendly service and style. Kangaroo Valley Bush Retreat provides a variety of beautiful natural venues to hold a wedding reception overlooking the valley. 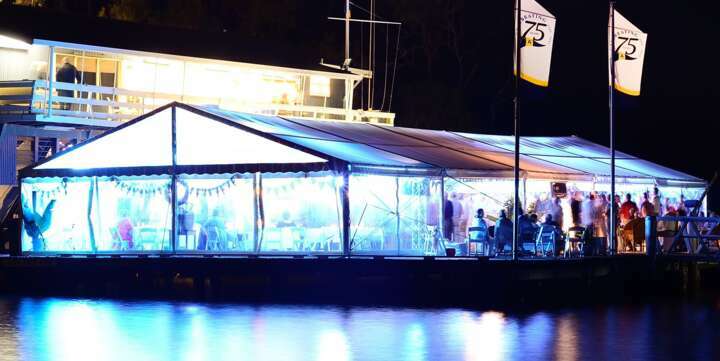 An outstanding location for marquee wedding on the South Coast of NSW set the banks of one of Australia’s most beautiful rivers, the Shoalhaven River. The Gold Coast is surrounded by some of the most beautiful parks and longest beaches, it is no wonder it is an ideal wedding location. There’s plenty of room for marquees on the manicured lawn that stretches to the edge of the Kirra headland. With breathtaking coastal views north and south, this offers a stunning background for the wedding ceremony, reception and photos. Just across the border into northern NSW, Mavis's Kitchen is a relaxed country style wedding venue. 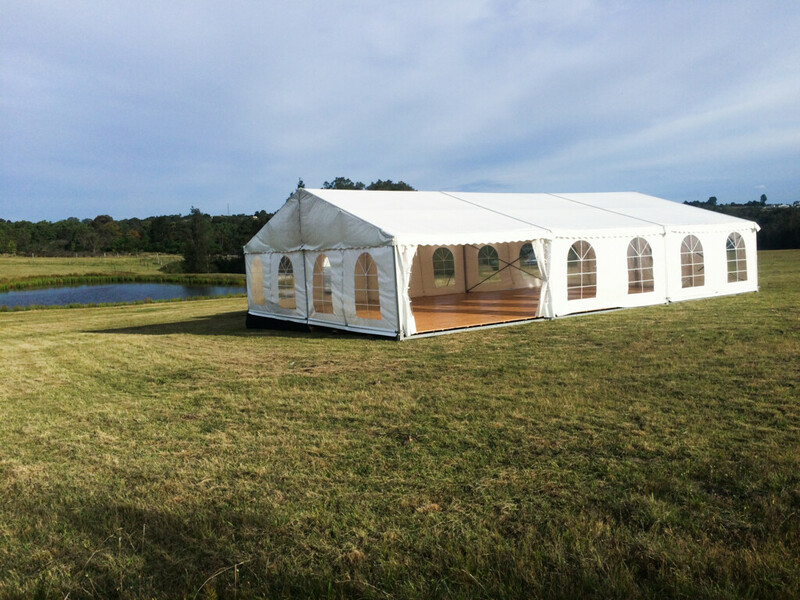 An ideal marquee venue surrounded by World Heritage rainforest and the fertile farmland of the lush Tweed Valley. The university offers unique ceremony areas, stylish reception facilities and manicured gardens, providing the perfect backdrop for wedding photos. A beautiful property in Currumbin Valley on the Gold Coast. It has a beautiful backdrop of the rainforest with bamboo groves and green canopies. Palmer Gold Coast offers romance, tranquility and privacy for your special day. 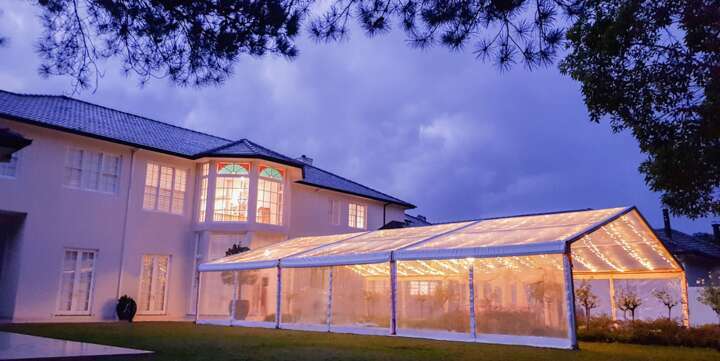 A luxurious venue with well manicured lawns make it an obvious choice for a marquee venue. If you pictured your wedding in a romantic outdoor or garden style setting under the sun and stars, choose one of the two outdoor options that suit your numbers and style. All spaces overlook the beautifully manicured lush green golf course. With the picturesque backdrop of the golf course, this is an ideal wedding venue. In the heart of the Gold Coast, a hidden path will guide your guests to the family rural secret at Glenrock Farm where you will be shaded by 100 year old native trees with views across green paddocks. Limited only by your imagination, Glenrock Farm is a blank canvas. Experience the Historic Rivermill's romantic charm, an ideal setting for your perfect wedding day. A great location that offers the convenience of having the ceremony and reception at the same place. A multi award winning reception venue and clubhouse, set upon Australia's first Jack Nicklaus signature Golf Course in the heart of the Gold Coast, makes Lakelands a unique choice of venue for wedding ceremonies and receptions. Brisbane has a number of high-quality wedding venues. When searching for the perfect venue it is important to keep in mind the space available to cater for the number of guests attending and any additional space requirements (e.g. dance floor, photo booth etc.). Roma Street Parkland is a romantic subtropical paradise hugging the northern side of Brisbane’s CBD and only 500m from Brisbane City Hall. The parkland offers a choice of five unique spaces suitable for intimate ceremonies and receptions, to locations catering for a larqe quantity of guests with spectacular views of the city skyline. The Forest Meadow is an area within the Lake Precinct. It has a spacious lawn area ideal for a marquee. The site has views to the lush forest precinct and the lake. Hanworth House is a heritage-listed villa at 109 Lytton Road, East Brisbane, Queensland. It provides beautiful garden wedding services. Perfectly accompanied with a classic marquee, this location is fabulous in any kind of weather. The Upper Brookfield Hall is maintained and managed by Upper Brookfield Community Recreational Club Inc. The Hall is held in trust for the use of the local community. The Hall and its surroundings are also available for hire and make an ideal setting for a marquee wedding. 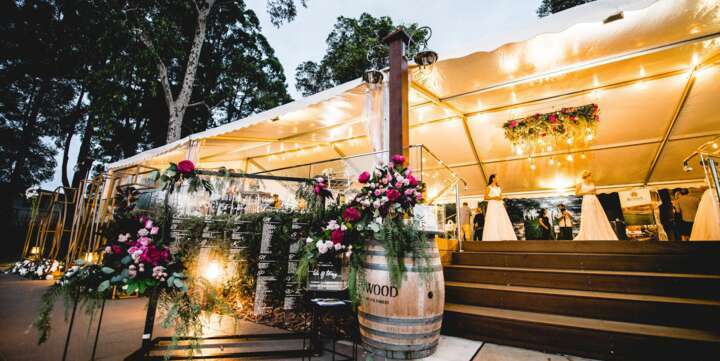 Nestled within the tranquil rainforest of D’Aguilar National Park and overlooking the beautiful Enoggera Reservoir hides one of Brisbane’s most stunning marquee wedding venues. Featuring native wildlife, lush greenery, and tranquil sounds of the forest, Walkabout Creek boasts endless opportunities for spectacular wedding ceremonies and receptions.